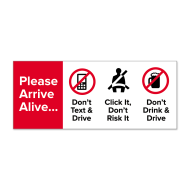 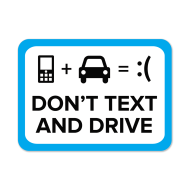 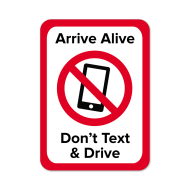 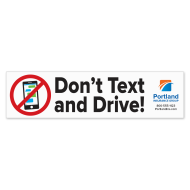 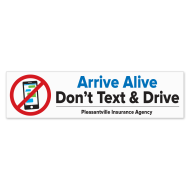 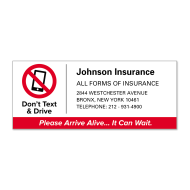  Remind your customers to arrive alive with Don't Text and Drive Stickers. 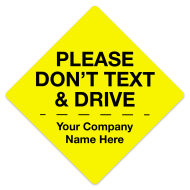 Don't text stickers can be added to everything leaving your office or given away at tradeshows and events. 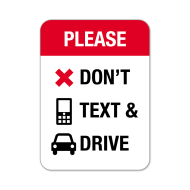 It's all our responsibility to keep raising awareness, to keep telling our friends, our families, our customers and everybody else of the devastating toll that distracted driving takes. 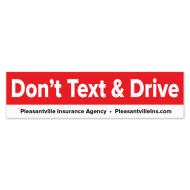 We have to keep saying stop texting and driving, because it simply can't be said enough.